Did you know that artificial plants help mental health? Studies show that they can. Patients who could see them during their time in recovery had lower levels of anxiety and pain. More medical offices and hospitals have begun to use them to help patients feel more relaxed. Yet the benefits don’t stop there. 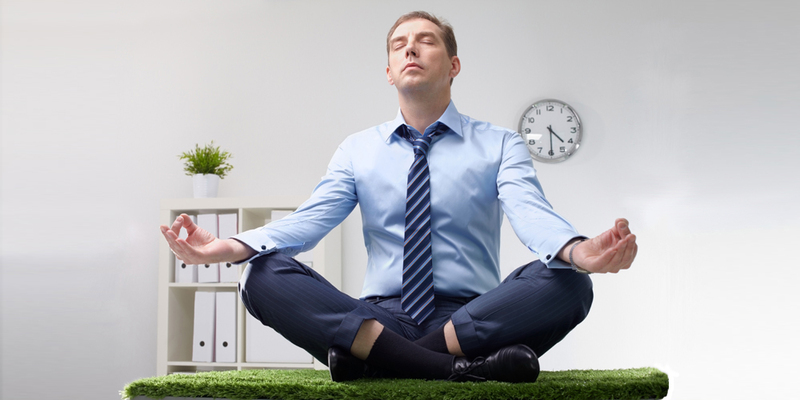 Fake grass and artificial plants help mental health by lowering stress levels in any office setting. Plus, these products now have a more natural look and are very low care. This is why today’s artificial plants help mental health and are really practical to use, as well. Watersavers Turf is a premier distributor of high-quality synthetic turf and artificial plants like faux ivy and boxwood. All our turf products are created to look great and last a long time. Now we are finding out about new ways that they are helping people to relax more. Synthetic grass is used in wellness centers, health clubs, medical offices, and senior living centers. It’s used “to enhance the safety and attractiveness of their facilities and to make them more accessible to the disabled,” according to the Synthetic Turf Council. The lush, green color of fake turf makes it nice to look at. This helps the state of mind of clients, patients, and staff members. Synthetic grass is used in wellness centers because it keeps its shape even after heavy foot traffic. It is also very easy to care for it and keep it looking great. This helps to gain more clients and keep current ones. When synthetic grass is used in wellness centers, it always looks welcoming. It doesn’t get weeds and bare spots. It’s a great option to the use of real grass, which costs a lot more for its lawn care. Fake grass and plants are used in medical offices because they’re very low care and they add life. They help people to feel calmer and more relaxed. Patients report lower levels of pain and distress when artificial plants are present. Hospitals use fake plants and grass because they always stay nice to look at. It helps lift the mood of both patients and staff. People seem to get well faster when they have natural looking things around them. Plus, fake turf is easier to walk on for therapy. It’s also easier to use for those who are using wheelchairs. Long-term patients can get depressed. The natural look of fake plants and turf can help to lift their spirits. There are some benefits of artificial grass and plants in the workplace. Some people might work in an office without windows. This can feel isolating, even for a short time. During winter, the days are shorter with less daylight. It can be dark outside when the workday starts, and dark when work is done. Some people really suffer from this lack of daylight. However, having fake plants around can help to improve their mood. The use of artificial grass and plants in the workplace adds a sense of beauty and calm. This helps people to feel better and be more willing to work as a team. Synthetic lawn is used quite frequently on college campuses. It aids a healthy and active life style. Students can use fake grass all year long and not worry about bad weather. They can stay on campus to enjoy their sports and other activities. They don’t have to spend more time and money to go off campus for them. Being active is good for people’s health because it helps people to handle everyday problems and even helps them deal with future problems. Physical activity also helps people to think more clearly. How can synthetic lawn on campus help students with their studies? They can use it while they prepare for exams. It can help to reduce their stress and allow them to focus better. Faux turf can help the community in many ways and can be used to keep city parks and public areas looking good. It always looks fresh and green, and people of all ages can enjoy it. It makes people feel proud of where they live and draws visitors. Fake grass is used for sports fields where people are more active. This helps their physical health as well. Staying active also helps with having better mental health. Synthetic turf is often used in public spaces because it means lower costs in water and lawn care. This saves money for cities, along with the people who live and pay taxes there. Having more healthy activities to choose from can be a real boon to public wellness. Plus, the use of fake turf helps those who have an allergy to grass. They can enjoy the look and feel of the real thing with none of the worries. You can contact Watersavers Turf online for a free artificial grass estimate. You can also call us at 844-974-8873 to find out more about any of our products. Pick up large free 1’ x 1’ samples at any of our seven SF Bay area locations. They will let you truly see and feel the high quality of our turf products for yourself.